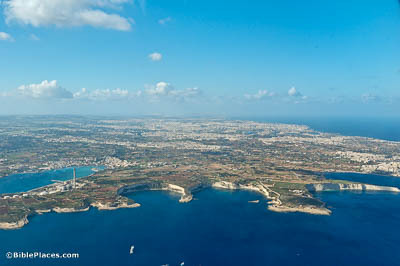 When we were safe, we learned that the island was called Malta (Acts 28:1). Malta, the island that Paul’s ship ran aground on, has an area of only 122 square miles (316 square km). Phoenician traders had colonized it sometime after 1000 BC. After the fall of Phoenicia to Alexander the Great in 332 BC, the island came under the control of Carthage, another former Phoenician colony. The Greeks had also settled in the Maltese islands beginning around 700 BC, and they remained through the Roman period. The Romans referred to the island as Melita, similar to the Greek Melite. After three months we set sail in a ship of Alexandria… whose sign was the Twin Brothers (Acts 28:11). The Twin Brothers are Castor and Pollux, known in Greek as the Dioscuri. They were considered patron deities of sailors and punishers of the guilty. Their constellation in the night sky was taken as a good sign for sea travel, so it is little wonder that a ship would sail under their sign. 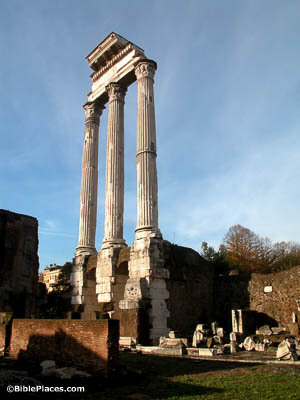 These columns are the only significant remains of the Temple of Castor and Pollux in Rome. And on the second day we came to Puteoli, where we found brothers (Acts 28:13-14). Ancient Puteoli is known today as Pozzuoli. 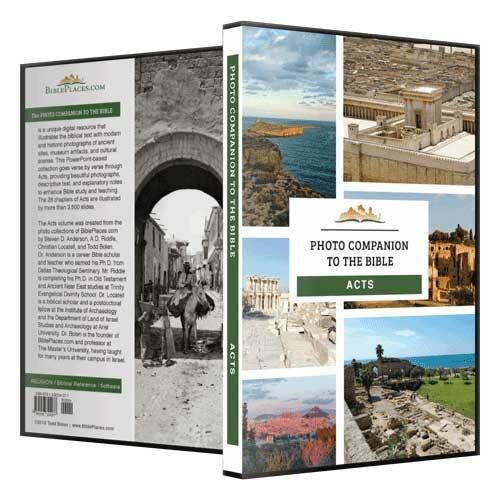 The city was founded in the 6th century BC, but its population peaked around the time of Paul’s visit, in the mid-1st century AD, when it boasted a population of around 100,000 people. Philo and Josephus both attest to a Jewish presence in Puteoli during the first century. Some of these inhabitants may have immigrated here because of the edict of Claudius expelling Jews from Rome, an event also mentioned in Acts 18:2. It was perhaps converts from this community that Paul and his companions met in Puteoli. And when we entered Rome, Paul was allowed to stay by himself, with the soldier who was guarding him (Acts 28:16). 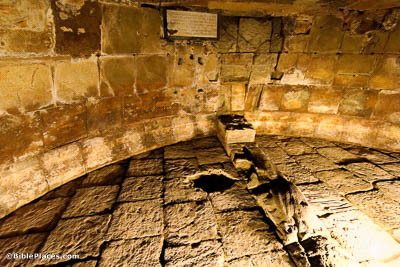 This cell is part of ancient Rome’s prison, known today as Mamertine Prison. Acts 28 indicates that Paul stayed in a rented room instead of in this structure (known in his day simply as “Carcer”). However, tradition holds that Paul was incarcerated a second time in Rome and eventually executed. It is possible that Paul was held in this prison during his second imprisonment. Let it be known to you therefore, that this salvation of God is sent to the Gentiles; they will listen (Acts 28:28). Rome, well outside the boundaries of the Holy Land, was filled with Gentiles. Some of these were willing to listen and hear the gospel brought by Paul, who was sent by God to them. 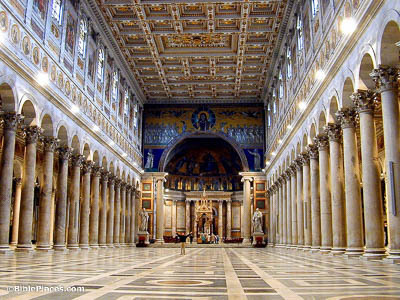 Eventually, the Basilica of St. Paul Outside the Walls was built over the traditional burial place of Paul. Constantine began construction in the 4th century AD; the current building shown here was built in the mid-19th century.